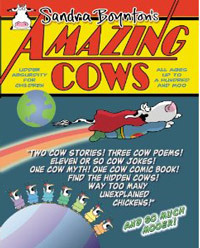 Do you know how to recognize your cow of the day? When you see it while browsing the news online AND a friend of yours posts the link to the YouTube video in their status update AND your husband asks you, have you seen this cow video? And the best part is, this video was shot in France! How could this go wrong? 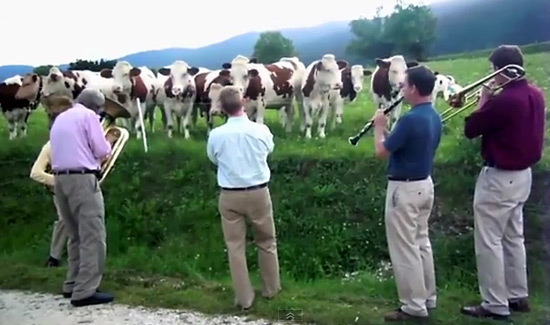 Words wouldn’t do this video justice, so just watch it and enjoy the music and the cows. 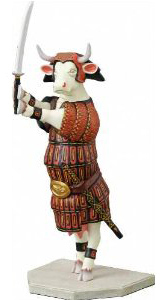 Oh when the cows, oh when the cows, oh when the cows go marching in… Needs more cowbell! Previous Post Wait a minute, I know these cows. And… bouncy horses?